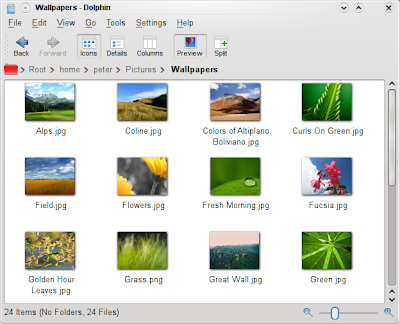 It is still possible to configure having the volume space information like known from previous Dolphin versions. Information panel speed improvements. 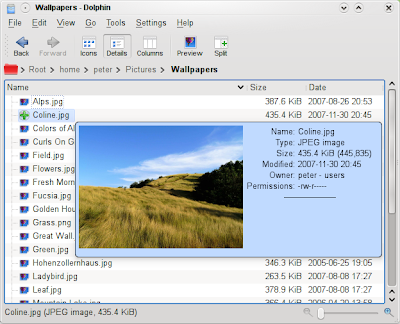 Even if a slow Nepomuk backend is used, the Information Panel won't block Dolphin anymore when doing selections or opening folders. Automatically open folders when dropping items. 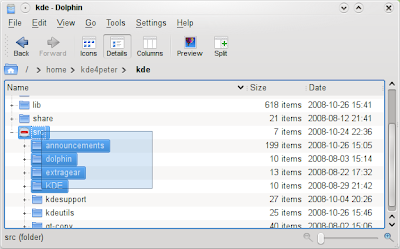 Triggering of items behaves like in KDE 3 for the details view. Only the icon and name act as target area, not the whole width of the name column. Drag and drop support in combination with tabs. Special thanks go to Simon St. James which contributed the tooltip- and detail view-features.